Blue Square Bet Premier side Dartford have re-signed Fulham goalkeeper Marcus Bettinelli on loan. 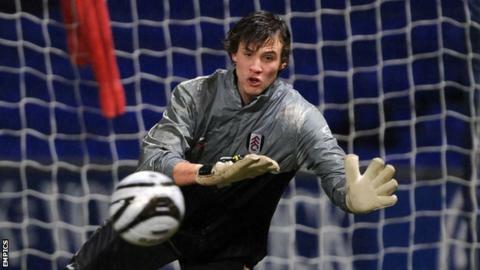 The 20-year-old keeper made 13 appearances for the Darts during a two-month spell at Princes Park earlier this season. Bettinelli recently signed a new deal at Fulham, keeping him at the Premier League club until summer 2014. The Londoner is eligible to play in Dartford's game at home to Mansfield Town on Friday evening.